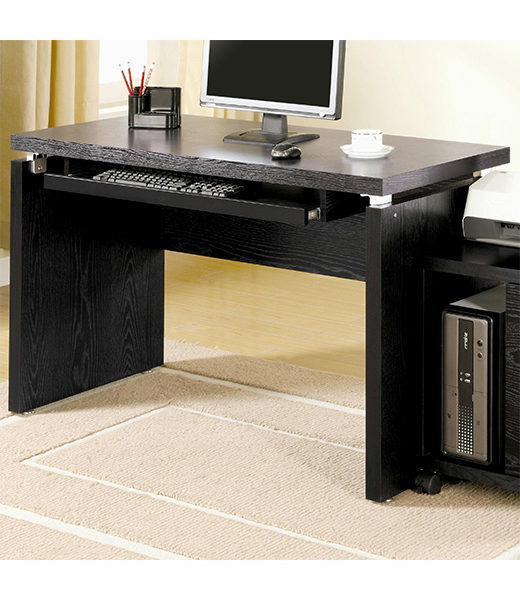 Clean lines and functionality describe this contemporary office desk. This desk includes a keyboard tray. 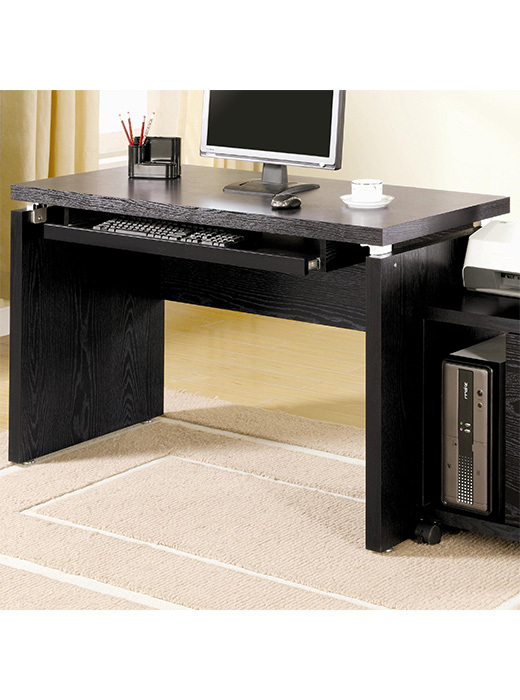 Matching computer stand with 2 drawers and bookcase stand is also available. Finish is a visible wood grain in a dark black finish.